BIBLE STUDY FOR TODAY: GENESIS CHAPTER 9 Verse 1-29. Covenant-Keeping God of Abraham, Isaac and Jacob: I call on You today, ACTIVATE Your covenants of blessings in my life now!!! in the name of Jesus. Covenant of Goodness, Answer for me by the Blood of Jesus!!! in the name of Jesus. Covenant of Fruitfulness, Answer for me now by the blood of Jesus!!! in the name of Jesus. Covenant beauty of the rainbow, decorate my life and let my colourful destiny begin to manifest now!!! in the name of Jesus. Every Lot in my life delaying the fulfillment of God’s Covenant of Greatness for me: DEPART BY FIRE!!! in the name of Jesus. I ACTIVATE the Covenant of GLORY for my life! in the name of Jesus. You the covenant of poverty operating in my life: CATCH F-I-R-E!!! in the name of Jesus. Covenant of failure and demotion: I am not your candidate: therefore: B-R-E-A-K! B-R-E-A-K!! B-R-E-A-K!!! by the blood of Jesus. Evil covenants of my father’s house operating and ruling my life: your time is up: EXPIRE!!! by the blood of Jesus. Evil covenants of my mother’s house, making my life miserable: I REJECT YOU BY THE BLOOD OF JESUS! therefore: DIE! DIE!! DIE!! in the name of Jesus. Every covenant entered into on my behalf by my parents that is now affecting me negatively: I RENOUNCE you by the Blood of Jesus: B-R-E-A-K!!! in the name of Jesus. Ancestral covenants of my family line: hear the word of the LORD: DIE! DIE!! DIE!!! in the name of Jesus. Every blood covenant that I have knowingly or unknowingly entered into: I NULLIFY you by the Blood of Jesus. Every dark covenant operating in my dream-life: I REVERSE YOU BY FIRE!!! B-R-E-A-K BY THE BLOOD OF JESUS!!! Every covenant of limitation, assigned to make me a second-fiddle and second-class citizen in life: you are a liar: EXPIRE!!! by the blood of Jesus. By the covenant of rainbow, O God Arise and let Your everlasting blessings be activated in my life, in the name of Jesus. I wipe off my name from the book of evil covenants by the blood of Jesus. I write my name with the blood of Jesus in the book of God’s covenant of greatness and glory, in the name of Jesus. Thou book of God’s covenants: BE OPEN AND LET YOUR RECORDS ACTIVATE IRREVERSIBLE BLESSINGS UPON MY LIFE NOW!!! in the name of Jesus. My crown of favour and gloryyyyyy, my head is available for you, whether the wicked and witches like it or not: APPEAR AND LOCATE ME NOW!!! in the name of Jesus. I wash my head with the blood of Jesus to receive my crown of glory, in the name of Jesus. 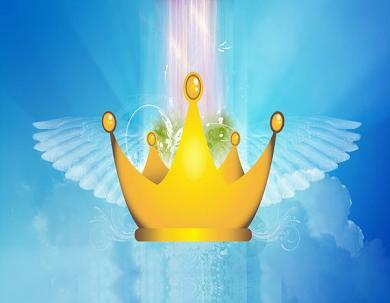 5 Comments on "DAY 16: Battle For The CROWN Prayer Points 2011"
God of fillfullment, let my testimonies begin in Jesus name. Please pray for God to save my household and that the fruit of the sprit will abide in our life and home. I also want god the release my promotion that was given on 6/1/11 and i have not receive it as of today. I am blessed. Everything i hav prayed for and worked hard for,i knw my God has answerd. The devil cannot continue to steal frm God’s children..its high time we stood up for the cause of the cross.